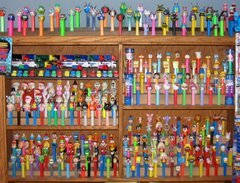 For auld PEZ acquaintance be forgot... we shall remember 2008 as a pretty good PEZ year. As we were predicting the number of new acquisitions for 2009 many were interested in the number of 2008 acquisitions. Now don't be confused by the "30" posts under the "New Acquisitions 2008" tag. 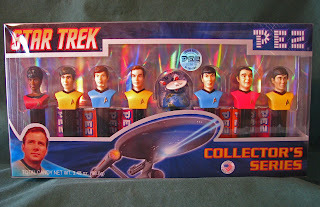 There were infact 80 new PEZ which included 71 new character editions added to collection this past year. This is NOT including those that Santa brought which were in stockings on the 25th of Dec. Over the next 12 days we will post each stocking's PEZ contents as the 12 DAYS of PEZ LANG SYNE to give each new PEZ it's due solo attention.